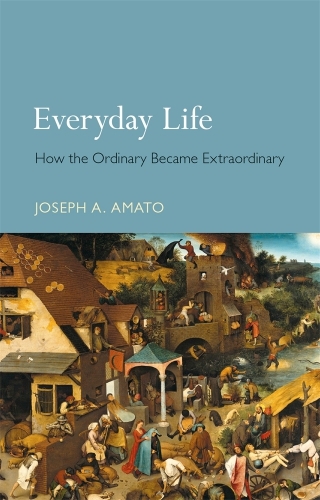 In Everyday Life Joseph A. Amato offers a panoramic account of the evolution of our daily existence and reflects on the complex and changing textures of everyday life. Beginning with societies of scarcity and relative lack of change and ending with our own twenty-first-century lives, he ranges widely through topics as varied as dirt and muck, walking and the charm of spices, and through time from early agriculture to mechanization and the modern urban existence. Amato argues that what seems to be ordinary is in fact extraordinary, and shows how life, even in the very recent past, differed from life in our present-day societies of abundance and of remorseless change. The result is a challenging and thought-provoking introduction to change and continuity in daily life. Joseph A. Amato is Emeritus Professor of History and Rural and Regional Studies at Southwest Minnesota State University. He is the author of many cultural and intellectual studies, as well as works of local and regional history including Dust: A History of the Small and Invisible (2000), On Foot: A History of Walking (2004) and Surfaces, A History (2013).